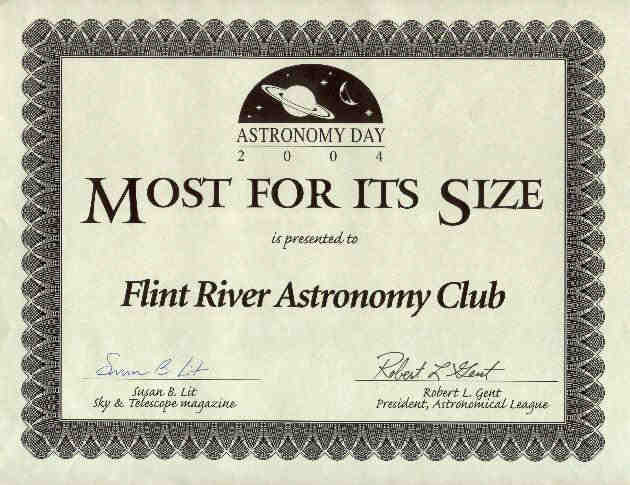 Katie Moore, member of the Flint River Astronomy Club was awarded the Jack Horkheimer Award for Exceptional Service by a Young Astronomer in 2000. 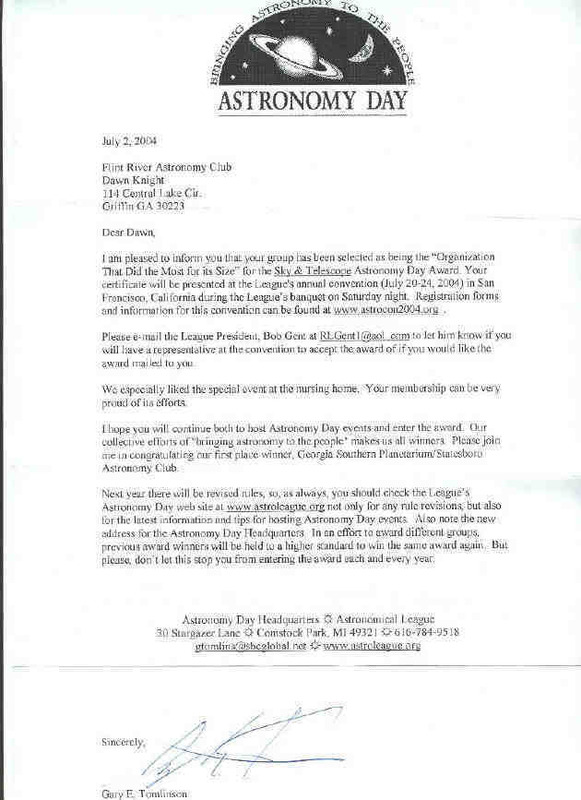 This national award is presented to an Astronomical League member who is under the age of 19 and is based upon service to the League, either directly, or service to any Astronomical League society. Service areas recognized include outstanding educational outreach, astronomical knowledge, and public education skills at public star parties. 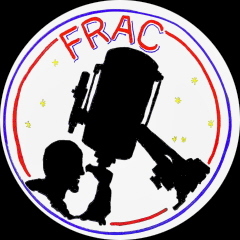 The award included a major cash prize, a plaque, and a trip to the Astronomical League Convention at Astrocon 2000 in Ventura, California. Congratulations Katie, we are all proud of you. Katie Moore - Recipient of the 2000 "Jack Horkheimer Award for Exceptional Service by a Young Astronomer!